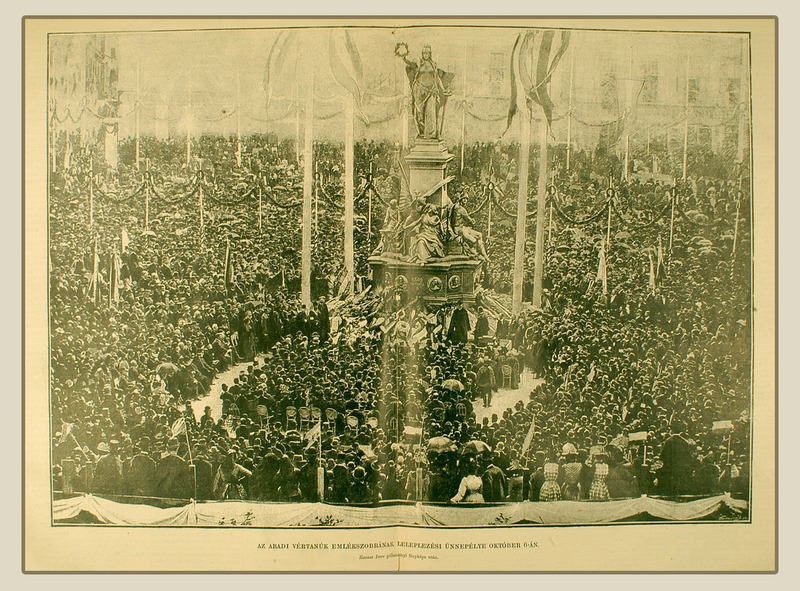 Contemporary photograph taken at the festival in Arad on 6 October 1890, from the newspaper "Vasárnapi Újság"
There are two wax cylinders in the National Library's Music Collection which contain a piece of history: the first speech in Hungarian to be recorded on phonograph. Lajos Kossuth (1802–1894), a legend in Hungarian history, politics and culture for his role in leading the 1848 Revolution and War of Independence against the Habsburgs, made the speech on 20 September 1890 at the ripe age of 88 years. 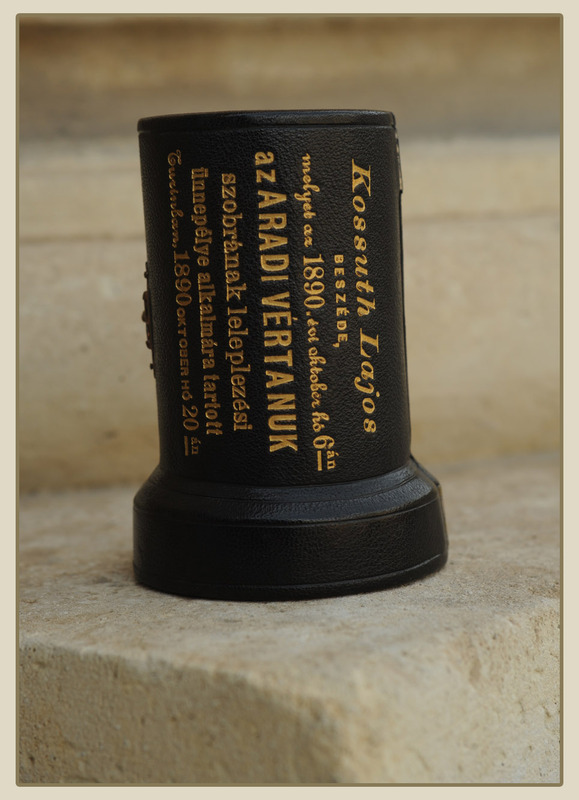 The recording was intended to address the nation two weeks later at the “Festival of Reconciliation”, marked by the unveiling of Gyorgy Zala's statue in Arad, commemorating the 13 generals who were executed there on 6 October 1849 after the fateful uprising was quashed. At the time of the speech Kossuth, the former Governor of Hungary, was in voluntary exile in Turin, Italy, having recently lost his Hungarian citizenship through an Act of Parliament back in 1879. 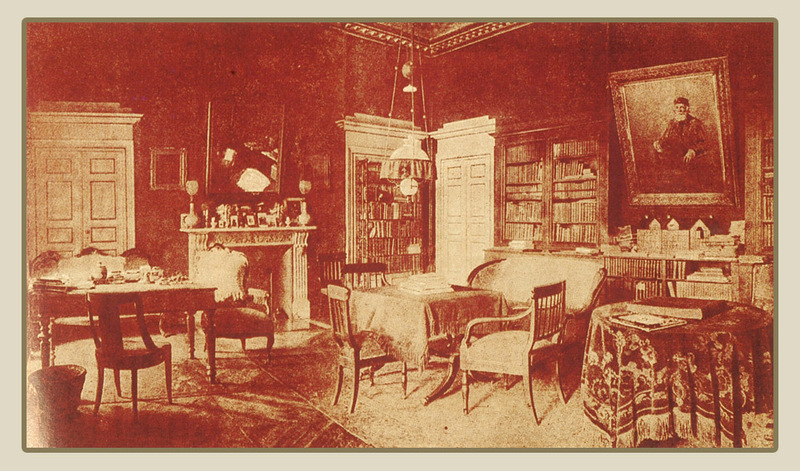 Not being morally able to attend in person, therefore, Kossuth put his faith in the phonograph, or “diabolical machine” as he referred to it, in order to get his message to his people. Ironically, very few were able to listen to it, as it was not publicly broadcast for political as much as technical reasons. Instead, according to press reports of the day, it could only be heard indoors and individually through earphones. But its audience gradually spread; following the press release in Budapest on 3 October, the speech could be heard over 4 days around the "Festival" in the building of the former Commercial Bank premises for a fee of 1 forint, which went to charity. After Arad it was transferred back to Budapest and then out to many parts of the country, where apparently it could be heard even years later. 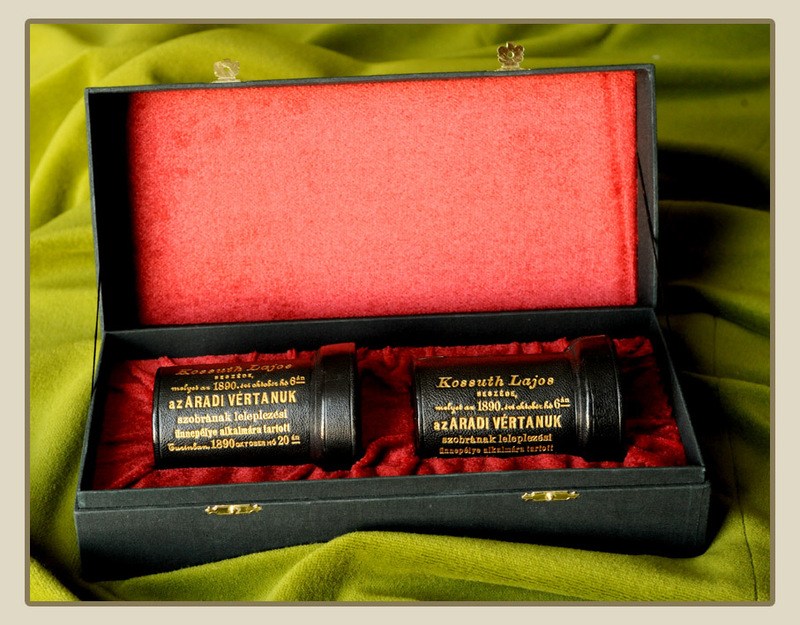 The sound recording from Turin was the work of two Budapest entrepreneurs, Karoly Felner and Tivadar Barna, who were also instrumental in publicizing the speech to its wider audience, despite it remaining their personal property. 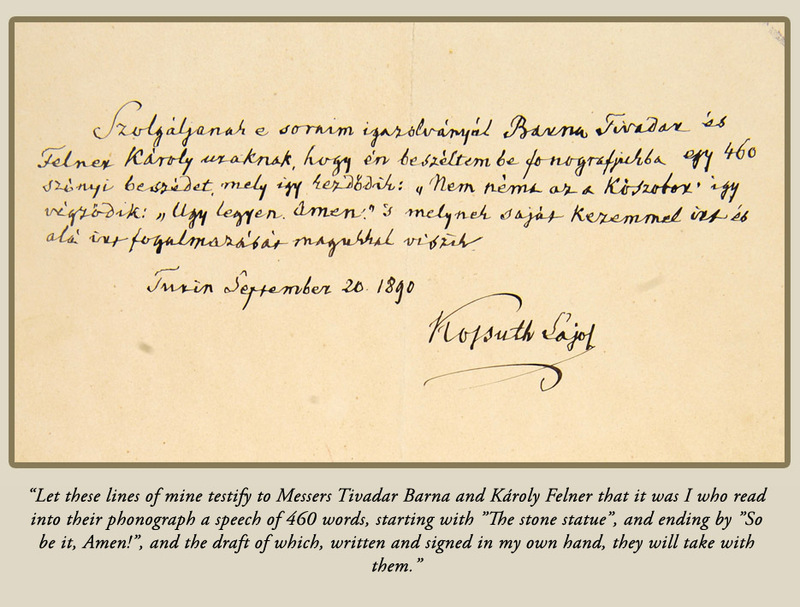 The recording was accompanied by a written testimony of authenticity signed by Kossuth himself. 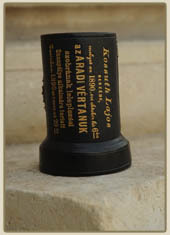 After so much overuse, however, it is no wonder that the wax cylinders have suffered. One of three original cylinders was lost in 1919, and only one of the surviving two remained usable. 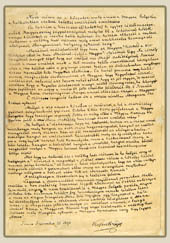 The cylinders, the statement of authenticity plus other Kossuth relics such as the autographed manuscript of his speech, were donated to the National Széchényi Library by Felner himself in 1932. 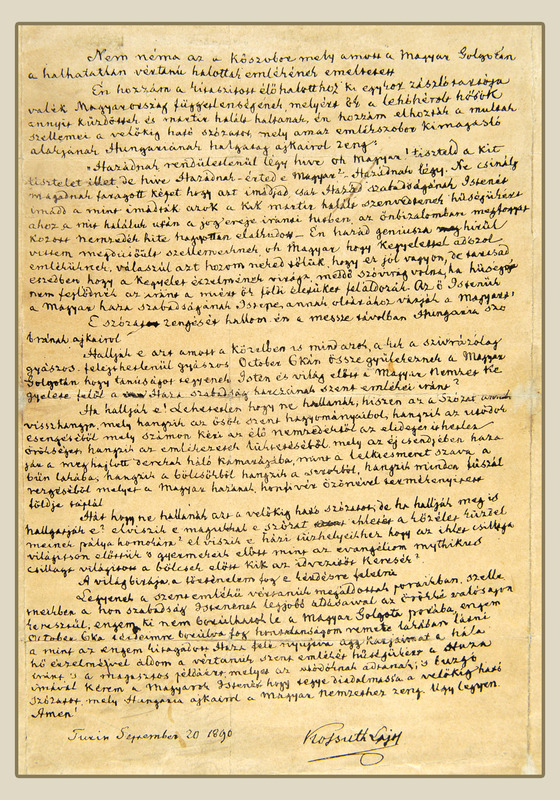 Since then the part of the speech on the one good cylinder has been rescued and restored, and was first broadcast on Hungarian Radio on 17 August 1974, since which time it has been published on the media of the day: LP, CD and now on websites. Unfortunately, even the restored version has a high background noise level, because the remit was to preserve the character and tone of Kossuth's voice over and above considerations of clarity, with the result that understanding the speech is challenging even for native speakers. 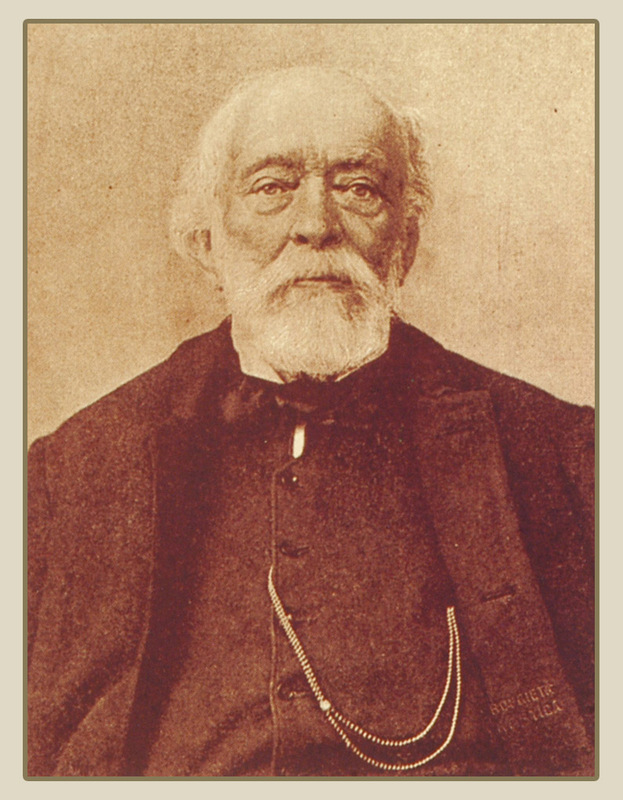 Therefore we recommend that you follow the text provided below, just as Kossuth's contemporaries did back in Arad! The stone statue that has been raised over there on the Hungarian Golgotha in memory of the immortal martyrs is not mute. It is the sound of these appeals that I hear in the distance from the lips of the statue of Hungaria. I wonder if all those over there also hear it, and those close by, who came forth on the Hungarian Golgotha on that heart-rendingly woeful, never to be forgotten mournful October 6th, to bear witness before God and the world of the Reverence that the Hungarian Nation held for the sacred memory of the Country's independence struggle? Do they really hear ot? It is impossible for them not to hear it, for the Appeal is the echo of that which is heard from the sacred legacies of the ancestors, and from the longing of those who came after, which calls upon the living generation to account for the inalienable heritage, and it is heard from the pulsation of the memories that in the silence of the night haunt the bed chambers of those with bent-over backs like the voice of conscience in the dwelling of sin; that is heard from the cradles, from the graves, from the fluttering of every blade of grass, and that is nourished by the earth of the Hungarian homeland made fertile by streams of the blood of patriots. How could they not hear that appeal that searches the very marrow of the bone, but if they hear it, do they also hearken unto it? Do they take the inspiration of this Appeal with them to the arena of the struggles of everyday life? Do they take the inspiration to their family hearth to have the glittering star of inspiration light for them, for their children, as did the mythical star of the gospel for the Magi who sought the Saviour? A világ birája, a történelem fog e kérdésre felelni. Legyenek a szentemlékű vértanúk megáldottak poraikban, szellemeikben a hon szabadság Istenének legjobb áldásaival az örökké valóságon keresztűl; engem, ki nem borúlhatok le a magyar Golgota porába, engem October 6ka térdeimre borúlva fog hontalanságom remete lakában látni a mint az engem kitagadott Haza felé nyujtva agg karjaimat a hála hő érzelmével áldom a vértanúk szent emlékét hűségükért a Haza iránt, 's a magasztos példáért, melyet az utódóknak adtanak; 's buzgó imával kérem a magyarok Istenét hogy tegye diadalmassá a velőkig ható szózatot, mely Hungária ajkairol a magyar nemzethez zeng. Úgy legyen. Amen! This question will be answered by the judge of the world-history. Let the sacred martyrs in their mortal remains be blessed, let them in their spirits be blessed with the best knowledge of the fatherland's God of liberty, through eternity. October 6th will find me, who is unable to throw myself down in the dust of the Hungarian Golgotha, on my knees in the hermit's abode of my homelessness, streching my aged arms towards the country that has cast me out, blessing the sacred memory of the martyrs with the fervent sentiments of gratitude, their fathfulness to the homeland, and for the sublime example they gave to those who came after, and asking the God of the Magyars with ardent prayer to make victorious the appeal that searches the very marrow of the bone and sounds from the lips of Hungaria to the Hungarian Nation. So be it, Amen!